Another one down and your local sanrio store may be next! What am I talking about? If you have been following me on twitter, you probably already heard the news about California's Glendale Galleria's Sanrio store being closed in just a few days away. Isn't that awful?! There seems to be too many Sanrio stores being closed down due to the bad economy.
.::My Local Sanrio Stores Closed List::. The only local Sanrio store that is still open is in Hollywood and Vine! 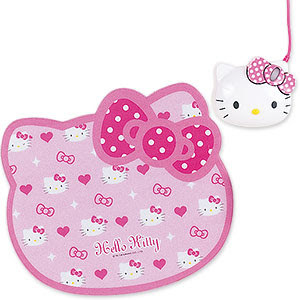 The sales rep at Hollywood store assured me that their sanrio store will not close it's doors anytime soon. They still have five more years on their contract with the mall. That is such good news for a sanrio addict like me because I really don't want to end up driving far to get to a sanrio store. I really like the mousepad. So pretty! You can get it here. 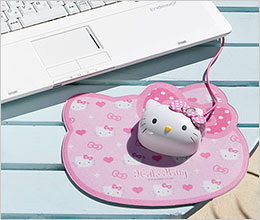 ^ I really like the Hello Kitty mouse and mousepad a lot. I'm really tempted to get one myself. Not sure if I will. I hope they sell it here in the USA because I rather save money on shipping fees and the service fees to buy it from a Japanese shopping agency. 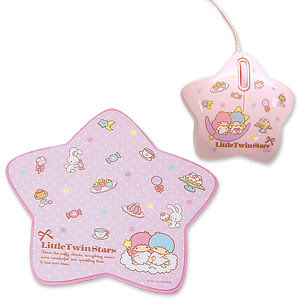 What a dilemma for a sanrio addict. Buy or should not buy... I can picture myself walking down a street and picking up a white petal flower (forgot the name) and playing the "He Loves Me or He Loves Me Not," but replacing it with "Buy or Don't Buy." 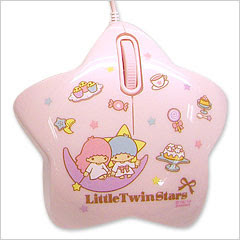 I should do this for all my future sanrio potential purchases. 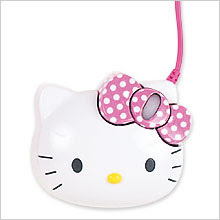 Maybe it'd keep me from overspending and going over my sanrio budget.